B0921. 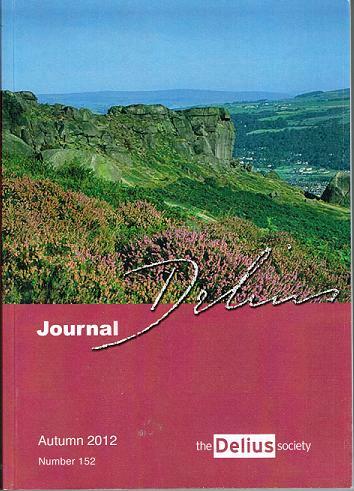 The Delius Society Journal, Autumn 2012, Number 152. 176pp. 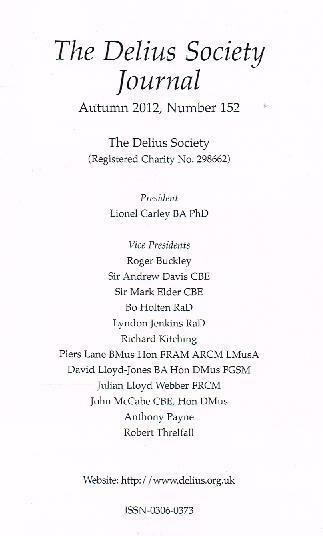 London, The Delius Society, 2012. (Pictorial thick paper covers).